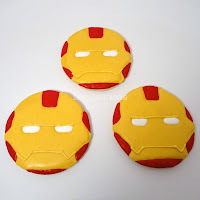 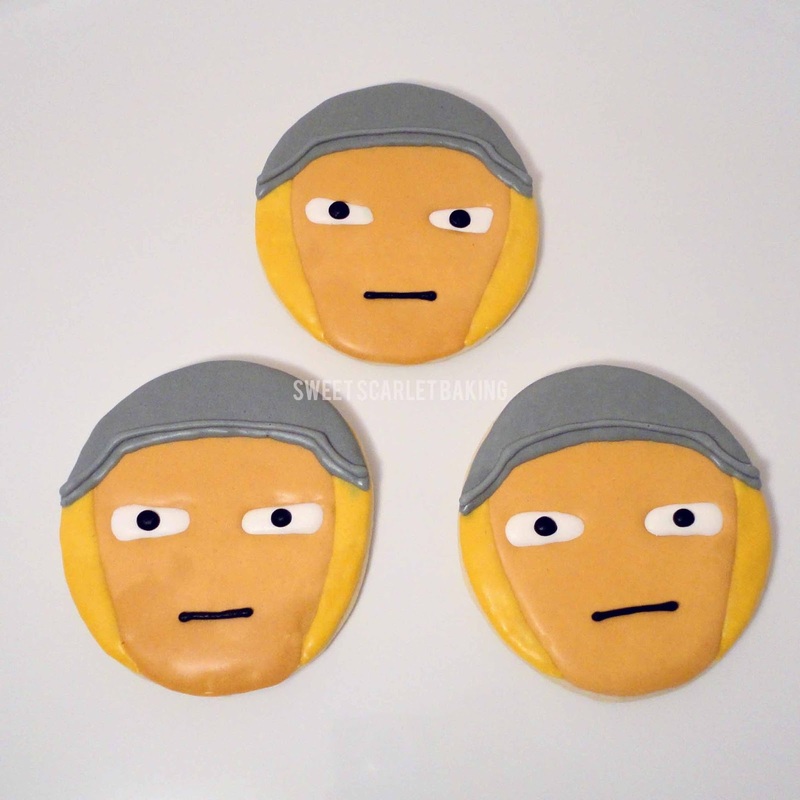 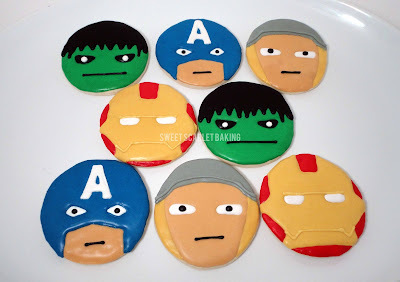 Avengers decorated sugar cookies for his birthday party. 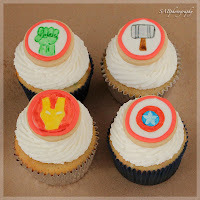 We decided on Thor, Hulk, Captain America and Iron Man. At the party, the guests enjoyed these cupcakes topped with cookie pops. 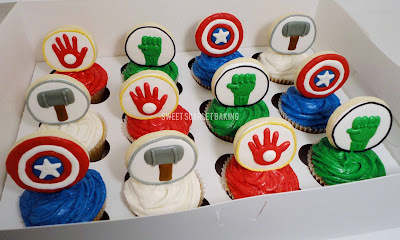 Thor's hammer, Hulk's fist, Captain America's shield and Iron Man's laser hand. 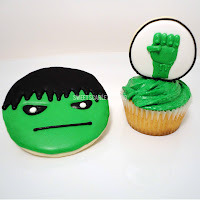 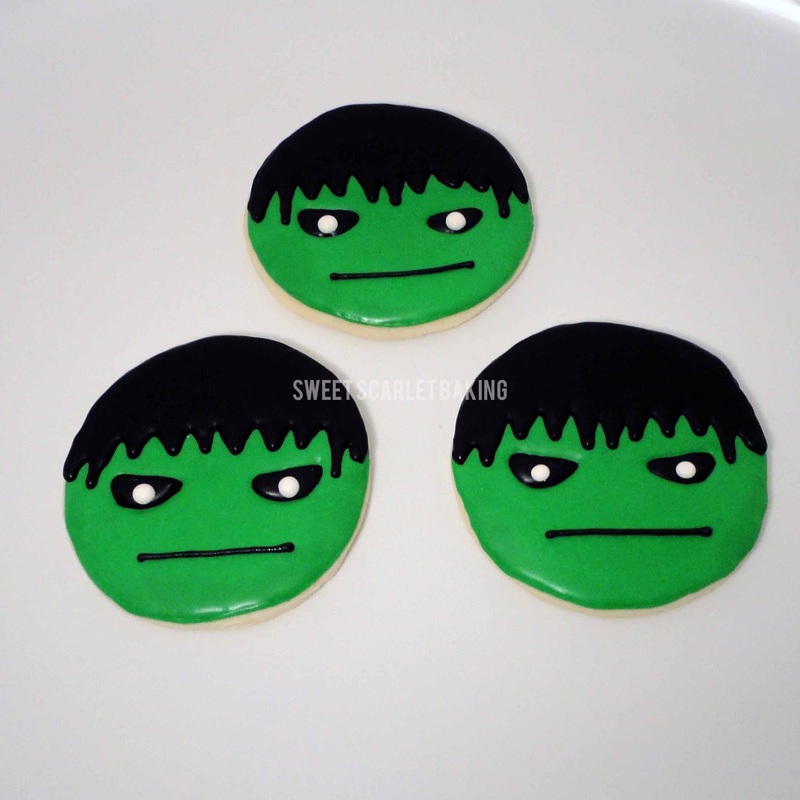 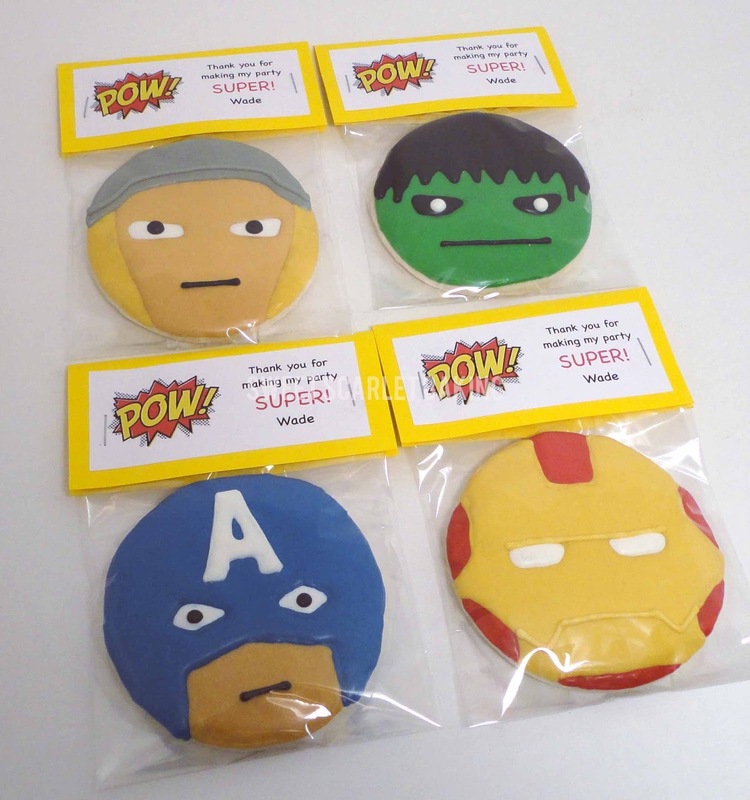 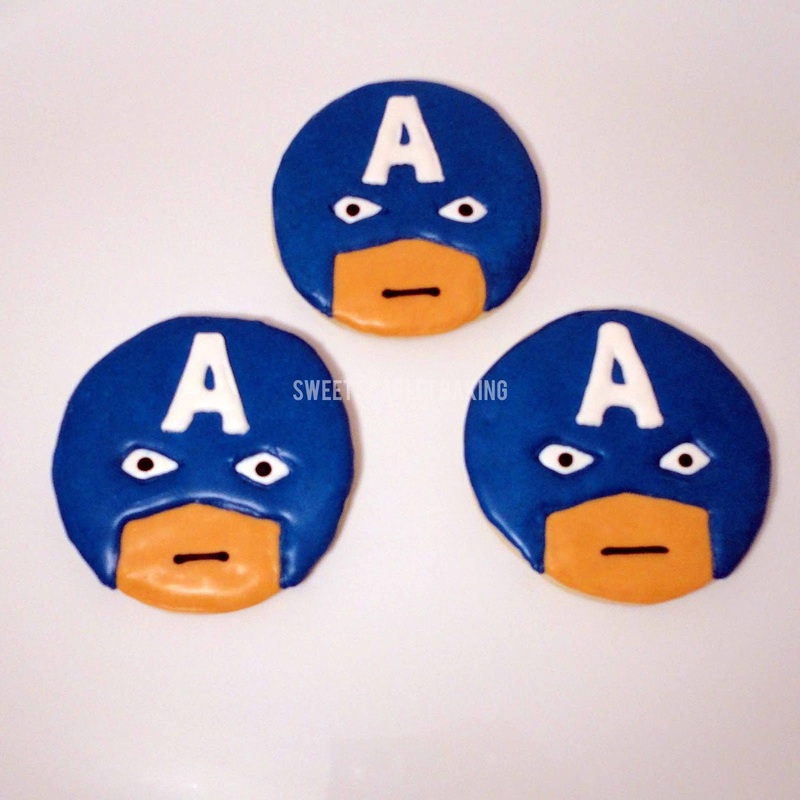 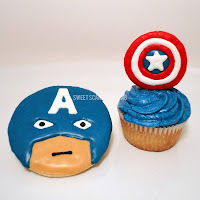 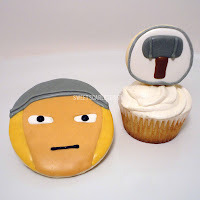 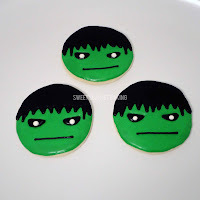 The 3.5 inch Avengers cookies went home with the guests as party favors. 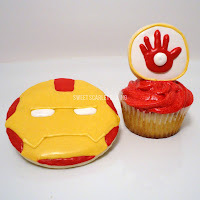 Happy 6th Birthday, little buddy! 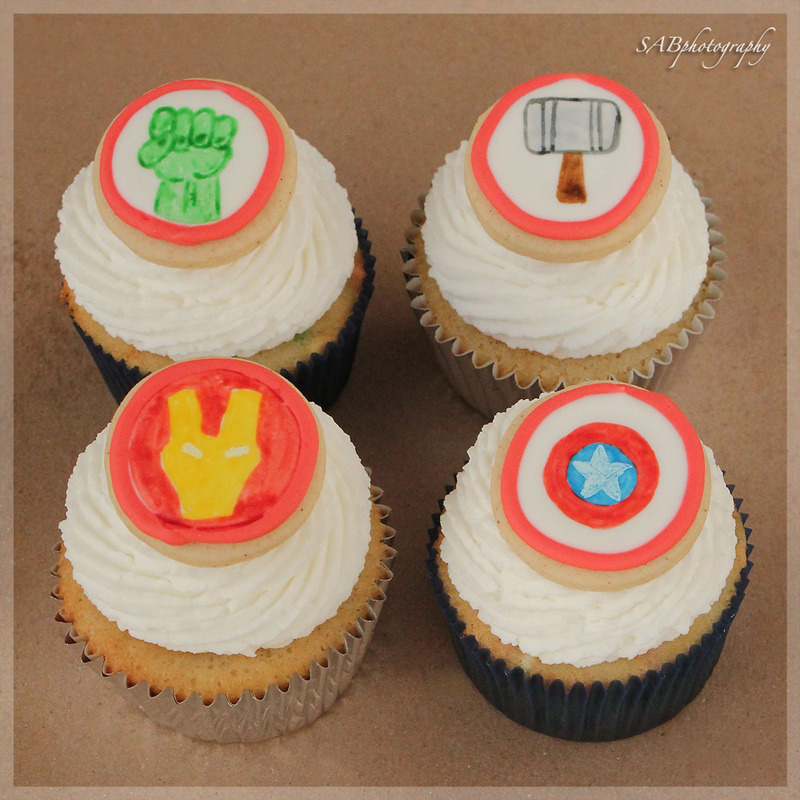 My designs were inspired by these buttons from The Paper Candy Co.
and this cupcake image that I found on google.